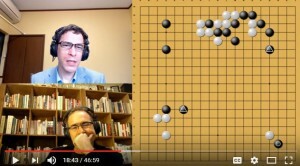 DeepMind has released the schedule for the upcoming Future of Go Summit, featuring an updated AlphaGo in several formats, including pair go, team go, and a 1:1 match with the world’s number one player Ke Jie. 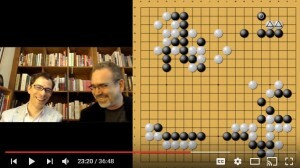 DeepMind will be streaming the matches live, posting match updates and expert commentaries every day on this page and on their Twitter account, @DeepMindAI. For more details, you can visit the official event page here. 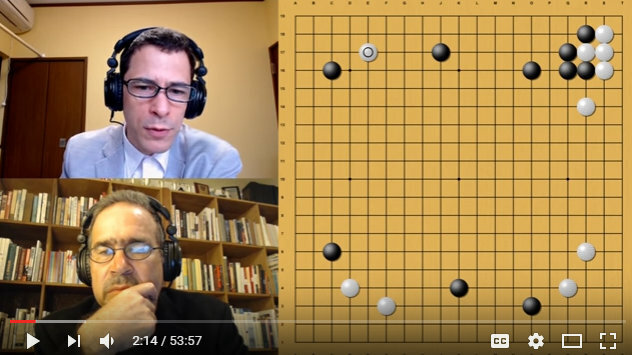 Michael Redmond 9p & Chris Garlock of the AGA E-Journal provide commentary and analysis of the forty-seventh game of Master (AlphaGo). In this game, Master plays black against Tan Xiao 7p. “The new moves that Master plays are often hard to understand, but Master makes them work,” says Michael Redmond 9p in this video commentary, hosted by Chris Garlock of the AGA E-Journal, of the thirty-fifth game of Master (AlphaGo). 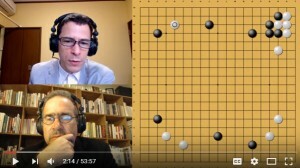 In this game, Master plays white against Jiang Weijie 9p. “In this analysis I attempt to explain two unusual corner sequences.” Jiang Weijie won the LG cup in 2012, after taking several Chinese titles. 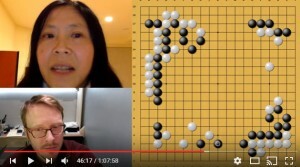 Game 29: Jennie Shen 2p, hosted by Andrew Jackson, translates Meng Tailing 6p’s commentary and adds her own analysis of Master’s (AlphaGo) 29th game. 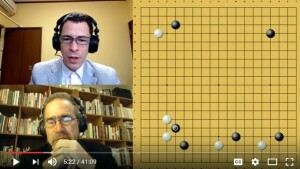 In this game, Master plays white against Mi Yuting 9p. Click here for the video. 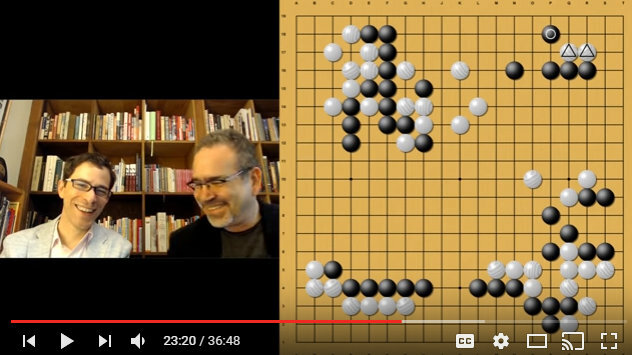 Game 50: Michael Redmond 9P, hosted by American Go E-Journal Managing Editor Chris Garlock, takes a look at another Ke Jie-Master game. 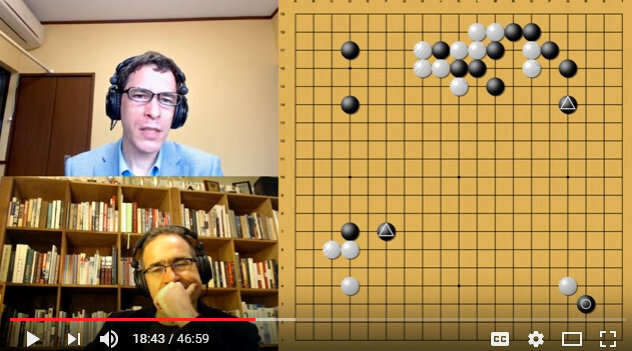 In this game, Redmond says, “Ke Jie tries Master’s moves on the AI: up to Black 13, this is actually the same fuseki as in Game 20, with Master as Black and Park Junghwan as White. 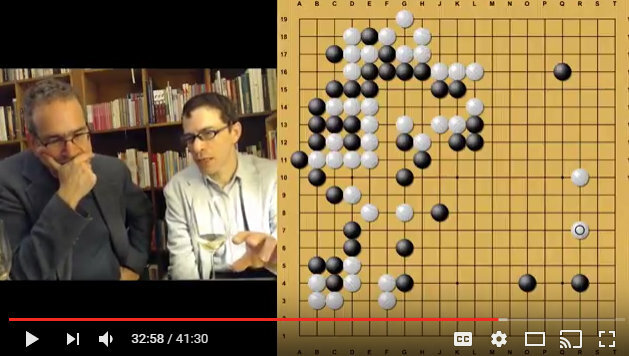 Ke Jie plays Master’s moves with Black, maybe to see how Master is going to handle it.” Click here for the video.